figures carved in the local Late Gothic style. than to a learned parallel between the mythical hero and Christ. did his nephew, Íñigo López de Mendoza y Quiñones (1440-1515). Catholic Monarchs’ ambassador to the Papal Court in 1486. Fig. 11. 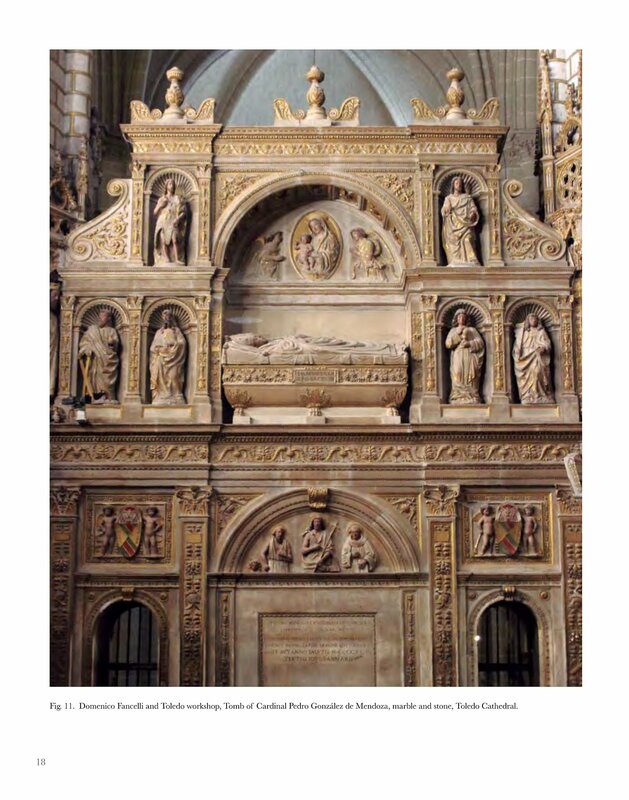 Domenico Fancelli and Toledo workshop, Tomb of Cardinal Pedro González de Mendoza, marble and stone, Toledo Cathedral.